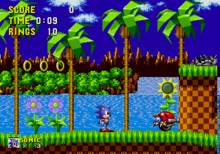 The Sega Genesis was Sega's entry into the 16-bit era of video game consoles. In Japan, Sega released the Mega Jet, a portable version of the Mega Drive for use on Japan Airlines flights. The Mega Jet requires a connection to a television screen and a power source, and so outside of airline flights can only be used in cars equipped with a television set and cigarette lighter receptacle. On planes, the Mega Jet was connected into armrest monitors. It had a limited consumer release in Japanese department stores in 1994, but did not see success. Planning to release a new handheld console to succeed the Game Gear, Sega originally intended to produce a system with a touchscreen interface two years before the Game.com handheld by Tiger Electronics. However, touchscreen technology was expensive at the time, so Sega instead released the Genesis Nomad, a handheld version of the Genesis. The development codename was "Project Venus". Sega hoped to capitalize on the Genesis's popularity in North America. At the time, the Genesis Nomad was the only handheld console that could connect to a television. The Nomad was released in October 1995 in North America only. The release was five years into the market span of the Genesis, with an existing library of more than 500 Genesis games. While Sega Technical Institute's The Ooze was originally planned as a launch game, it was not included. According to former Sega of America research and development head Joe Miller, the Nomad was not intended to replace the Game Gear, and Sega of Japan had few plans for the new handheld. Sega was supporting five different consoles: Saturn, Genesis, Game Gear, Pico, and the Master System, as well as the Sega CD and 32X add-ons. In Japan, the Mega Drive had never been successful and the Saturn was more successful than Sony's PlayStation, so Sega Enterprises CEO Hayao Nakayama decided to focus on the Saturn, resulting in the end of support for the Genesis and Genesis-based products. Additionally, the Game Boy, Nintendo's handheld console which had been dominant in the market, became even more dominant with the release of Pokémon Red and Blue. This meant the Nomad was not successful. By 1999, the Nomad was being sold at less than a third of its original price. 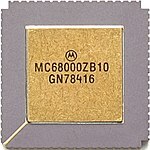 Similar to the Genesis and the Mega Jet, the Nomad's main CPU is a Motorola 68000. Possessing similar memory, graphics, and sound capabilities, the Nomad is nearly identical to the full-size console; the only variation is that it is completely self-sufficient. However, due to the smaller screen size it suffers from screen blurring, particularly during fast scrolling. The Nomad has a 3.25 inch backlit color screen and an A/V output that allows the Nomad to be played on a television screen. Design elements of the handheld were made similar to the Game Gear, but included six buttons for full compatibility with later Genesis releases. Also included were a red power switch, headphone jack, volume dial, and separate controller input for multiplayer games. The controller port functions as player 2, so single-player games cannot be played with a Genesis controller. The Nomad could be powered by an AC adapter, a battery recharger known as the Genesis Nomad PowerBack, or six AA batteries, which provide a battery life of two to three hours. The Nomad consumed more power (DC 9V, 3.5W) than Sega's earlier portable gaming console, the Game Gear (DC 9V, 3W). The Nomad also lacks a "Reset" button, which makes it impossible to complete certain games, such as the X-Men video game, which require pressing the button to finish certain objectives. The Nomad is fully compatible with several Genesis peripherals, including the Sega Activator, Team Play Adaptor, Mega Mouse, and the Sega Channel and XBAND network add-ons. However, the Nomad is not compatible with the Power Base Converter, Sega CD, or 32X. This means the Nomad can only play Genesis games, whereas the standard Genesis can also play Master System, Sega CD, and 32X game with the respective add-ons. The Nomad does not have its own game library, but instead plays Genesis games. At the time of its launch, the Nomad had over 500 games available for play. However, no pack-in game was included. The Nomad can boot unlicensed, homebrew, and bootleg games made for the Genesis. Some earlier third-party games have compatibility issues when played on the Nomad, but can be successfully played through the use of a Game Genie. Likewise, due to its lack of compatibility with any of the Genesis' add-ons, it is unable to play any games for the Sega Master System, Sega CD, or Sega 32X. The Nomad employs two different regional lockout methods, physical and software, but methods have been found to bypass these. Blake Snow of GamePro listed the Nomad as fifth on his list of the "10 Worst-Selling Handhelds of All Time," criticizing its poor timing into the market, inadequate advertising, and poor battery life. Scott Alan Marriott of Allgame placed more than simply timing into reasons for the Nomad's lack of sales, stating, "The reason for the Nomad's failure may have very well been a combination of poor timing, company mistrust and the relatively high cost of the machine (without a pack-in). Genesis owners were too skittish to invest in another 16-bit system." Stuart Hunt of Retro Gamer, however, praised the Nomad, saying in a retrospective that Nomad was "the first true 16-bit handheld" and declared it the best variant of the Genesis. In the same article, he notes the collectability of the Nomad, due to its low production, and states, "Had Sega cottoned on to the concept of the Nomad before the Mega Drive 2, and rolled it out as a true successor to the Mega Drive ... then perhaps Sega may have succeeded in its original goal to prolong the life of the Mega Drive in the U.S." Chris Plante of The Verge drew parallels between the Nomad and the Nintendo Switch, released years later. ^ Sczepaniak, John (August 2006). "Retroinspection: Mega Drive". Retro Gamer. No. 27. Imagine Publishing. pp. 42–47. Archived from the original on September 24, 2015 – via Sega-16. ^ "Mega Jet Lands!!". Electronic Gaming Monthly. No. 57. Sendai Publishing. April 1994. p. 64. ^ a b c d e f g h i Hunt, Stuart. "Retroinspection: Sega Nomad". Retro Gamer. Imagine Publishing (69): 46–53. ^ Fahs, Travis. "IGN Presents the History of SEGA (Page 7)". IGN. Retrieved October 18, 2013. ^ a b c d Marriott, Scott Alan. "Sega Genesis Nomad - Overview". Allgame. Archived from the original on November 14, 2014. Retrieved October 18, 2013. ^ "Sega's 16-Bit Hand-Held Now Named Nomad". Electronic Gaming Monthly. No. 73. Sendai Publishing. August 1995. p. 27. ^ a b Snow, Blake (July 30, 2007). "The 10 Worst-Selling Handhelds of All Time". GamePro. Archived from the original on October 12, 2007. Retrieved January 17, 2008. ^ a b Horowitz, Ken (February 7, 2013). "Interview: Joe Miller". Sega-16. Retrieved November 17, 2013. ^ Horowitz, Ken (June 11, 2007). "Developer's Den: Sega Technical Institute". Sega-16. Ken Horowitz. Archived from the original on April 8, 2016. Retrieved April 16, 2014. ^ a b c "Nomad: Sega's On-the-road Warrior". GamePro. No. 87. IDG. December 1995. p. 20. ^ "Pocket Cool". Electronic Gaming Monthly. No. 89. Ziff Davis. December 1996. p. 206. ^ Plante, Chris (May 29, 2017). "Sega Nomad was the Nintendo Switch of 1995 — and now a modder has given it USB power". The Verge. Vox Media. Retrieved August 16, 2018.